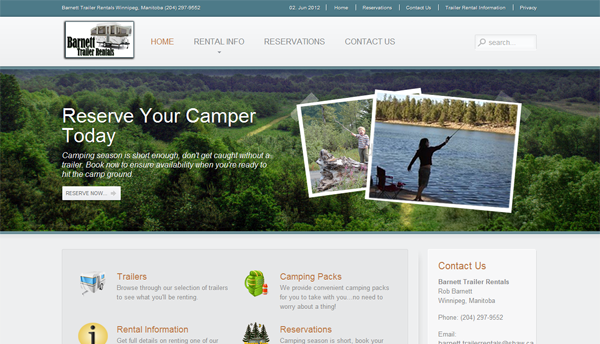 Barnett Trailer Rentals is a small business located in Winnipeg, Manitoba. Up-and-coming, Barnett Trailer Rentals needed a website to share information about their business and allow people to contact them easily for bookings. They needed only a simple site offering information, tips and the ability to be contacted. So we kept their website simple yet inviting and kept the navigation minimal. The logo was designed by their daughter and is being used on all promotional items. If you’re looking to rent a trailer and live in the Winnipeg area, I would highly recommend Barnett Trailer Rentals.